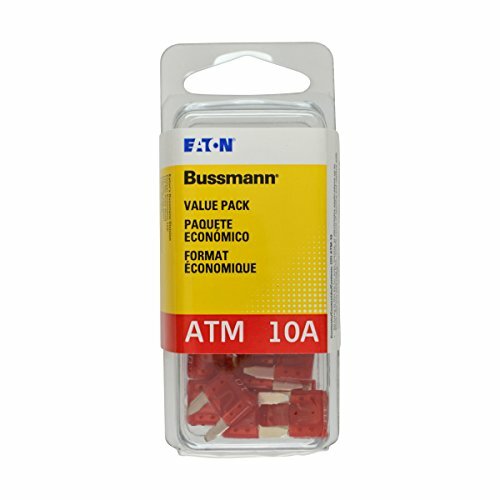 Bussmann ATM Fast Acting Mini Fuses were introduced in the 1990's and are known for late-model Original Equipment manufacturing applications. ATM fuses use the same universal color-coding as the ATC style fuse. Bussmann ATM fuses feature an enclosed element offering protection against shocks and sparks, plus corrosion resistance for longer service life. The Value Pack (VP) gives you 25 blade fuses with a re-sealable clamshell package for easy access and storage.